The 10 Best Cocktail Bars in Wisconsin! While Wisconsin is home to some of the biggest names in beer, it doesn’t mean we aren’t good at crafting up some seriously creative cocktails. Some nights are simply reserved for the cocktail bar, where you can sip on your favorite mixologist-made cosmos, whiskey sours, and tequila sunrises. Here are the 10 best cocktail bars in Wisconsin. Bryant’s Cocktail Lounge is a stylish place filled with creative cocktails. Bryant’s is the oldest cocktail lounge in Milwaukee, open since 1938. Try their fan favorite, Candle Light. It’s served with your choice of vodka, raspberry puree, and peach. It’s served on fire reminiscent of a candle’s glow. The Merchant in Madison is an industrial-chic joint with a craft cocktail bar. Outside of their tasty food menu, you’ll find they have an even lengthier cocktail menu. Their bartending team uses quality spirits, bottle sodas, and fresh squeezed juices. Basically, everything to make the best drink in town. Boone & Crockett is not your average cocktail bar. They house cocktail menu includes tasteful drinks like Gin Bramble, Old Fashioned, Manhattan and more. Try their award winning, Trinidad Sour for a twist on your typical cocktail. Located in the heart of Green Bay lies the Libertine, a craft beer and cocktail bar. Each drink is hand crafted to deliver the freshest taste possible. Expert mixologist and a lovely atmosphere will have you ordering Tequila Mockingbirds all night! The Wickman House, mostly widely known for their great food, also offers craft cocktails for purchase. Try their Older Timer for a fruity option or something a little more mainstream like their Mai Tai. Stop in for great food and one of a kind spirits. Dock18 is an experimental cocktail lab located within the Twist Path Distillery tasting room. They’ve got an ever-changing drink menu. The Dock18 is a fresh take on the bar scene that offers a fun way to experiment with new drinks and menu items. It’s a party! The Old Fashioned is an iconic bar and restaurant in Madison. Order up one of their famous Old Fashioned drinks with a side of cheese curds. Other popular house cocktails include a Brandy Slush and J. Henry and Son’s Manhattan. Located in Green Bay, the Standard & Company Bar is the place to be when you’re looking for a great tasting drink. You can rest easy knowing that each drink is made with the finest liquors and ingredients every time you order. Order up! La Crosses best libations are served at the Starlite Lounge. 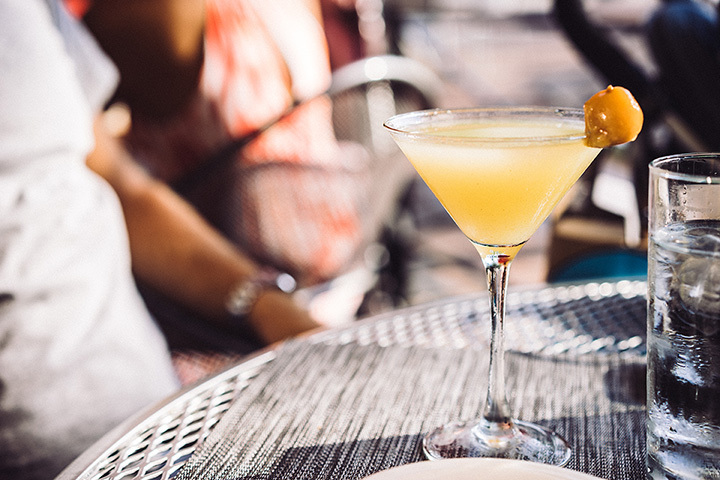 Relax with friends during the best happy hour in town. Stop in to see their weekly specials and order a dish of food while you wait. The Starlite Lounge is the place to be for the best cocktails. Since 1964 At Random has been changing the way Milwaukee drinks cocktails. Their ice cream drinks are to die for. Try At Randoms’ Grasshopper or their famous Tiki Love Bowl which is served on fire. There are tons of great offers top notch drinks in a charming old building.